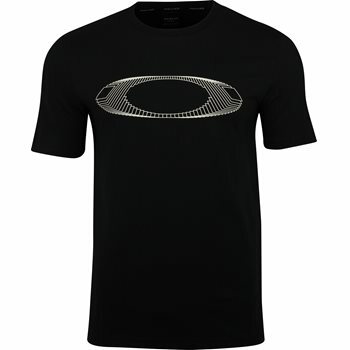 Nothing defines casual performance like the Ellipse Tech t-shirt by Oakley. It is designed with a ribbed crew neck and displays the Oakley gradient action-sport icon across the chest and Oakley print at the back neck. The Ellipse Tech t-shirt is made with cotton fabric that offers durability for machine washing and breathability for airflow to the skin.